If you're in the market for a new SUV and have narrowed down your search to be between the 2018 Nissan Rogue and 2018 Nissan Rogue Sport, congratulations you've already made an excellent decision. Both the 2018 Nissan Rogue and 2018 Nissan Rogue Sport come with the latest in convenience and entertainment technologies, so you'll cruise in style enjoying a Bluetooth® Hands-free Phone System and Streaming Audio, Siri® Eyes Free, Cruise control with steering-wheel-mounted controls, Remote keyless entry and more. If you still can't decide which Rogue is best for you, visit our Nissan dealership near Morrisville, NC, today. We'll help you compare models, so you can make the right decision for you. 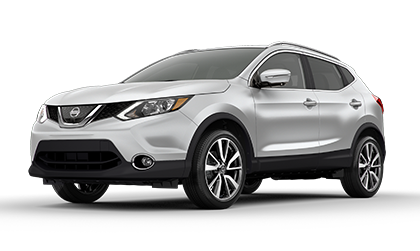 If price is of high importance to you, direct your attention to the 2018 Nissan Rogue Sport. The 2018 Nissan Rogue Sport S starts at a base MSRP of $22,770, and still manages to offer the same great value as its more expensive Nissan Rogue counterpart. If power is what you crave, the 2018 Nissan Rogue wins, as its 2.5-liter engine outputs a strong 170 horsepower and 175 pound-feet of torque. But if you want more precise handling, opt for the 2018 Nissan Rogue Sport as its offers an Xtronic® CVT, All-wheel drive and Sequential shift control -- all of which can't be found on the 2018 Nissan Rogue. In terms of fuel economy, both models are extremely efficient, but the 2018 Nissan Rogue outlasts its sportier twin slightly in highway mpg. 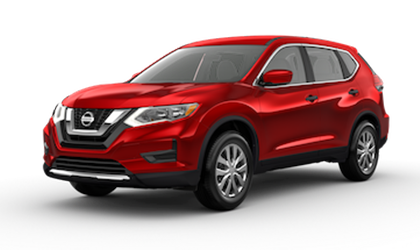 And since the 2018 Nissan Rogue is longer and wider than the 2018 Nissan Rogue Sport, the 2018 Nissan Rogue offers the greater rear legroom and maximum cargo capacity. With that said, both the Nissan Rogue and Rogue Sport keep you and your family protected with cutting-edge safety technologies, so you can't go wrong with either option! Whether the 2018 Nissan Rogue or 2018 Nissan Rogue Sport speaks best to you, you can test-drive your favorite at Michael Jordan Nissan today. We look forward to helping you finance a new Nissan Rogue soon at our North Carolina Nissan dealership.